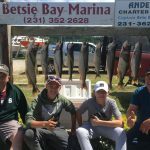 Fishing charters on Lake Michigan with Captain Eric Andersen. Over 40 years experience! 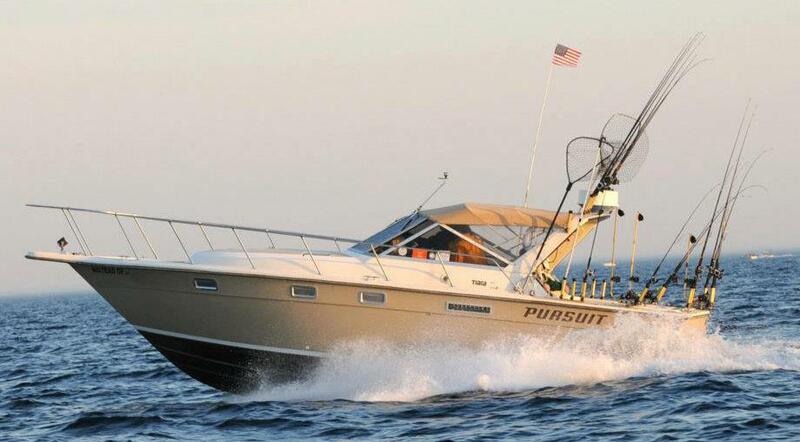 Comfortable 31' Tiara Pursuit with plenty of room for your party of 6. 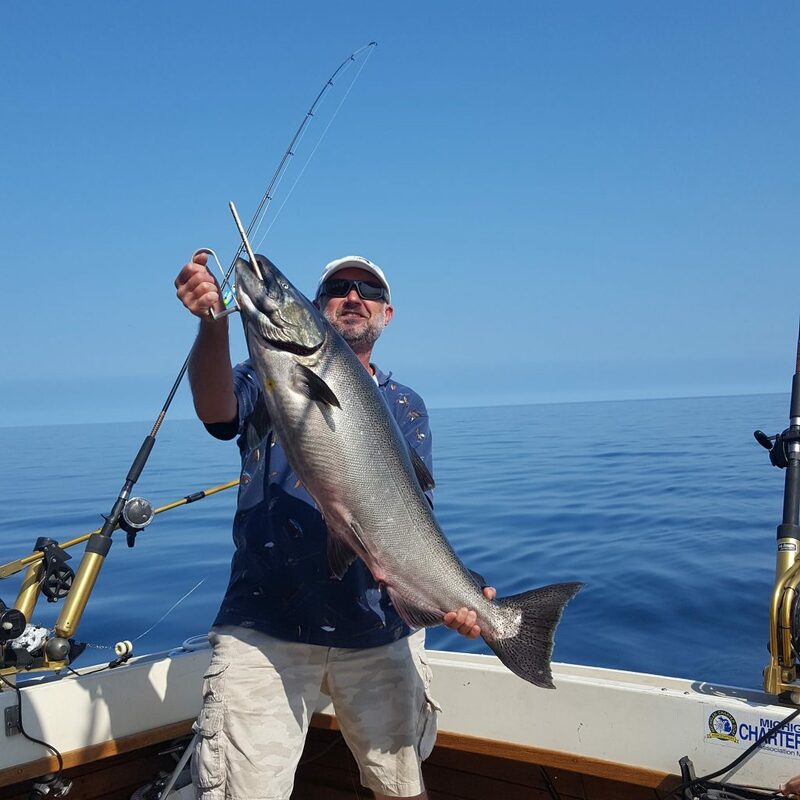 The "Duster" is fast to open water to get you right on top of fish! 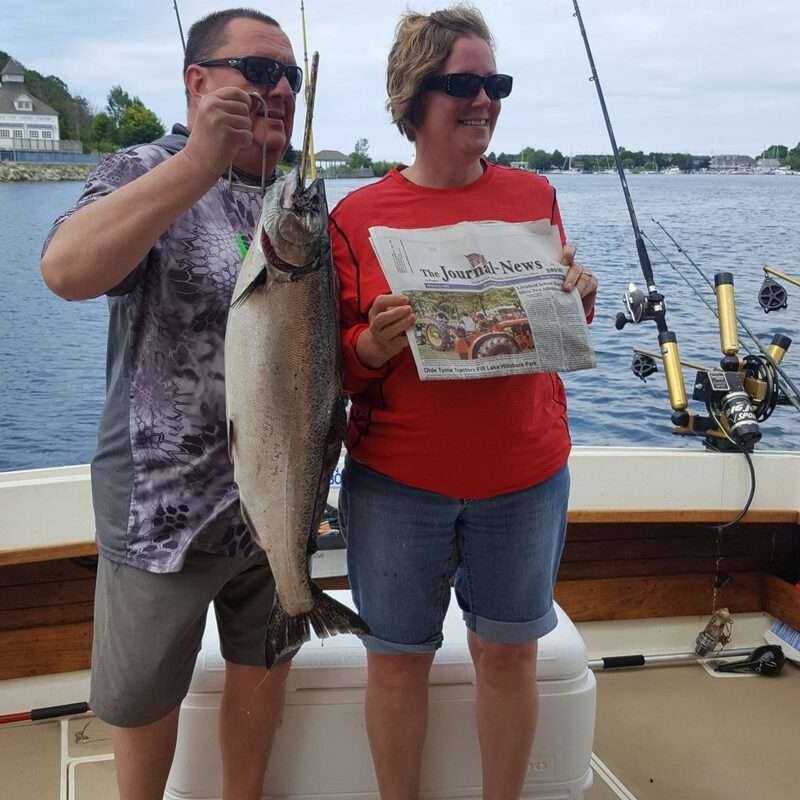 Enjoy a Full Day or Half Day fishing charter on Lake Michigan for king salmon and trout with Captain Eric Andersen. Captain Eric is U.S.C.G. licensed. The atmosphere on the "Duster" a 31' Tiara is fun, enjoyable and relaxing. 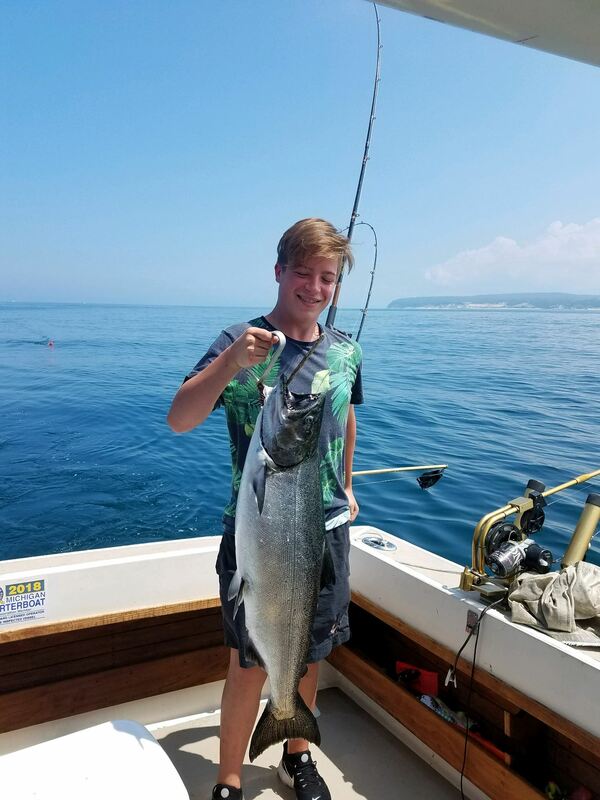 Fishing is a great way to spend some time on a vacation. It builds lasting memories for you and your family or guests. Special accommodations can be made for larger groups that require multiple boats. $100 deposit is required to secure your date. The "Duster" is a 31' Tiara Pursuit with a very large fishing deck. 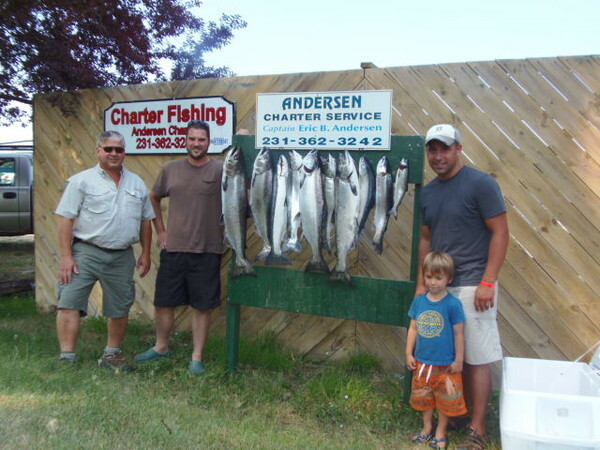 Fully loaded with the latest fishing equipment. She's fast to open water and to puts you on top of favorite fishing spots. April- May With the ice out Spring time in Arcadia means its fishing time. 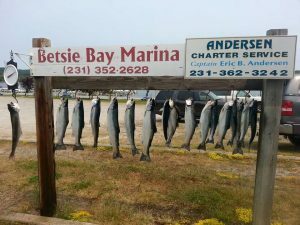 April and May we catch brown trout, chinook, steelhead. 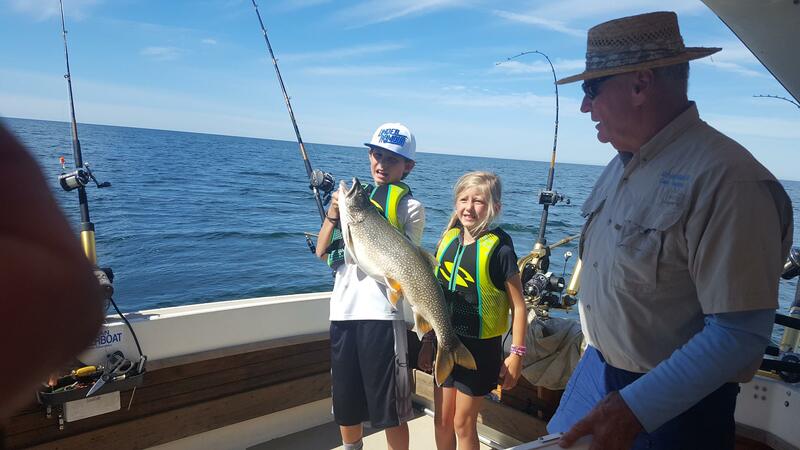 Lake Trout season on Lake Michigan opens May 1 st.
June-July In June thru mid July to surface fish for steelhead. these silver torpedos are located in thermal bars that form a “scum line” due to warming water on the surface. The “scum line” is made up of terrestrial and rich fertile floating plant matter which make for a perfect snack for steelhead. The action can be fast. Doubles and triples are common. 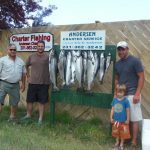 Although we target steelhead, chinook , lake trout and coho can often times mix themselves into our catch. 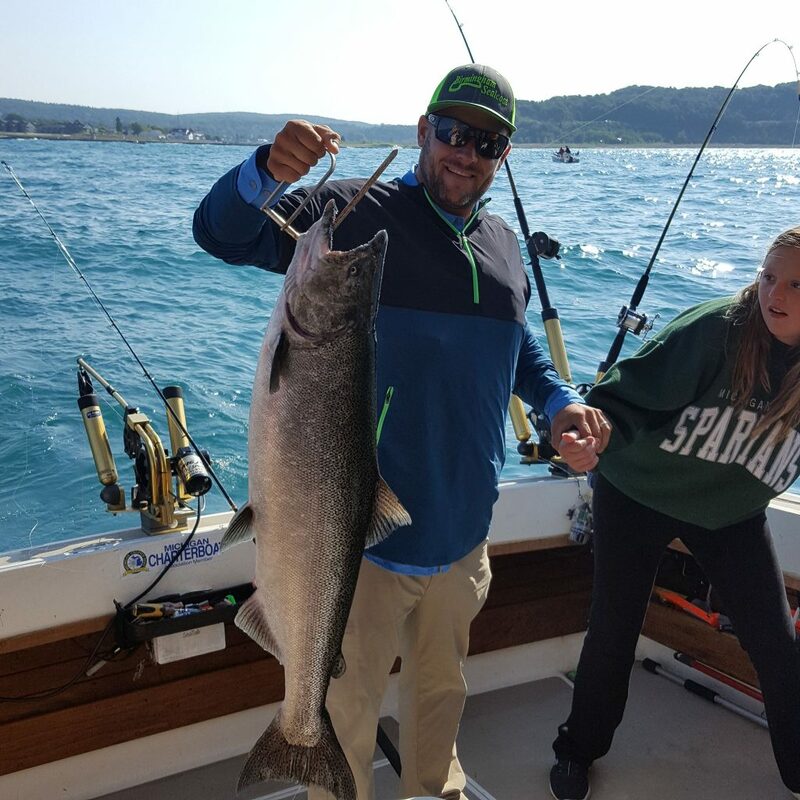 Mid July into September finds us trolling in depths of 50-200 feet in search of trophy King and coho salmon. 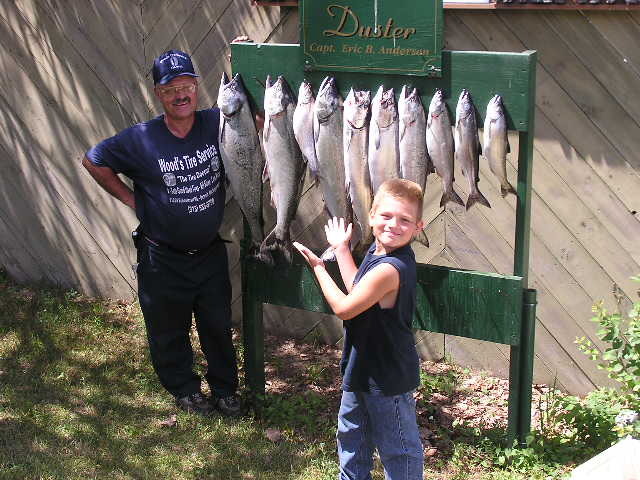 Adult King salmon have the distinction when hooked to run very hard and fast. 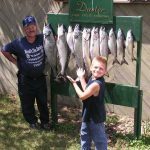 These fish can take up to 30 to 40 minutes to land on light tackle and can leave you with sore muscles and a life time of great memories. October Is when there is a temperature transition due to the change to a Fall season. 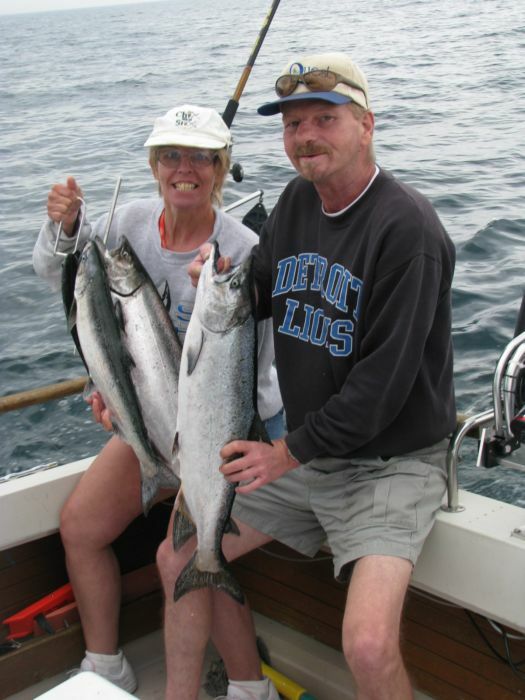 Steelhead move into the waters just off our harbors and there is good fishing for coho & chinook. 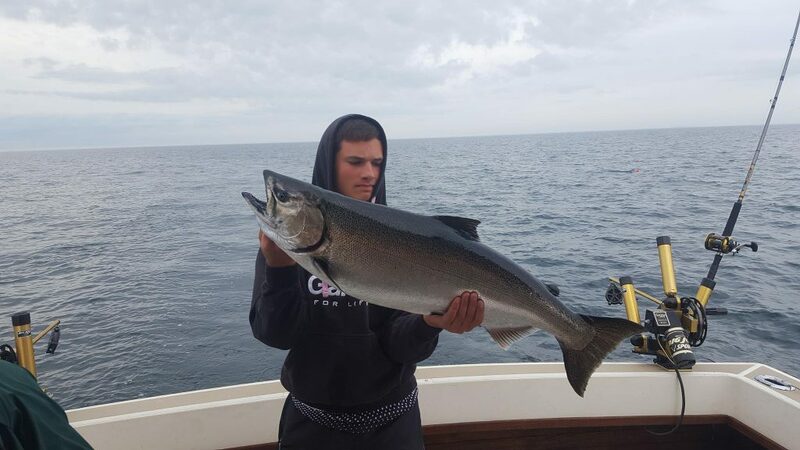 We’ve been pulling in some really nice king salmon but the weather needs to cooperate a little better. 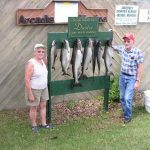 Fishing has been outstanding in the Frankfort Michigan area. We had some folks from Europe on the boat this week. The offical weight of this big boy was 29.5lbs. Took 30 min to bring in. Our primary concern is keeping our customers safe. The Captain makes all weather decisions. 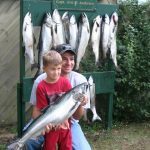 Yes, a valid Michigan Fishing license is required. Click here to purchase one online. It's always cooler on the lake so bring a jacket. 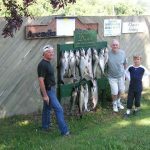 Wear soft soled shoes, bring sunglasses, sunscreen, camera and a cooler to take home your fish. Yes, a deposit of $100 is required to secure your fishing date. We take mastercard and visa. A $100 deposit is required to hold your charter date.